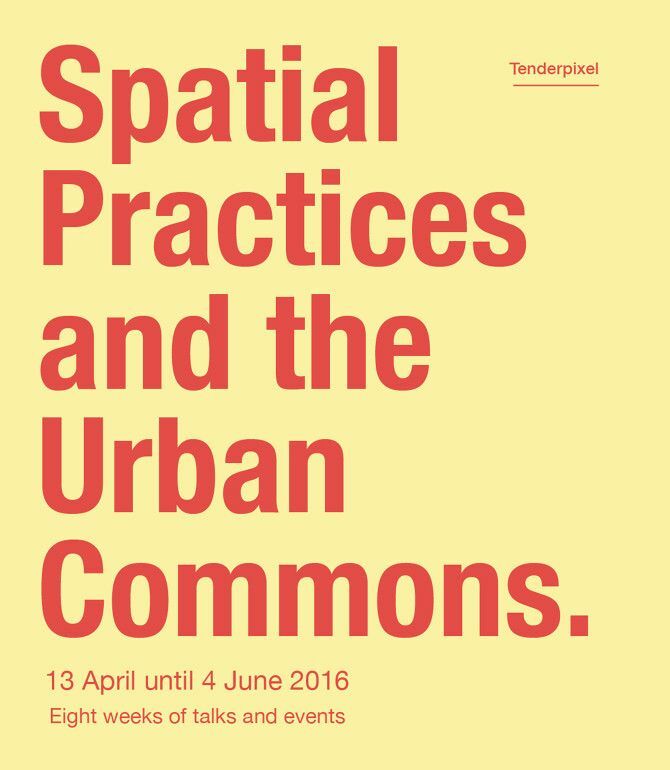 This event is part of the series 'Spatial Practices and the Urban Commons' at Tenderpixel. LOUISE SHELLEY is Collaborative Projects Curator at The Showroom. She has coordinated the Communal Knowledge programme since 2010, a series of collaborative projects with local and international artists for critical engagement with gallery’s social and cultural surroundings. NW8 is known for its distinctive and diverse communities from across the the Middle East and Africa. Culturally rich, the neighbourhood also has the 4th lowest median household income of all the wards in London. Through the projects the emphasis has been on finding ways to re-think or ‘unlearn’ established codes and relations, to create visibility, and to produce alternative knowledge through communal activity. ADAM KAASA (Theatrum Mundi, London School of Economics) is an interdisciplinary scholar who specialises in the politics of the city, foregrounding the role of architecture and design. 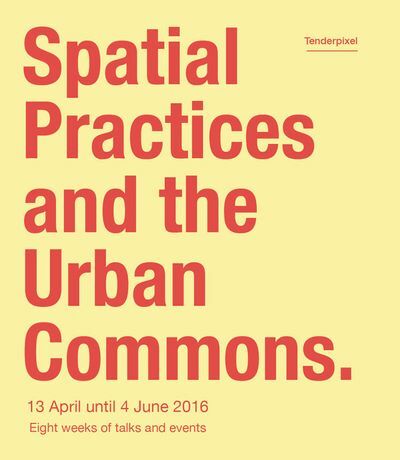 He is director of Theatrum Mundi, a professional network of urbanists and artists that offers a forum for cross-disciplinary discussion about practices relating to cultural and public space in the city. He is a Research Fellow in Architecture at the Royal College of Art, completed his PhD as a SSHRC Scholar at the London School of Economics and is a founding member of When We Build Again. THOMAS DOBSON (The Public(s) Land Grab, Loughborough Junction Action Group). The Public(s) Land Grab is a live research project which takes a stance against the inequalities intrinsic to capital-led urban development. As developers become increasingly irresponsible what we question is if - as residents - we can re-appropriate development as a tool to level social inequalities and reclaim land and resource for public benefit? 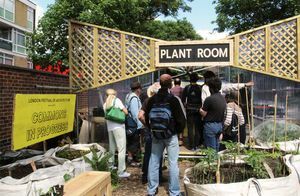 Like most citizen-led initiatives in London at the moment this starts with a community garden: the Loughborough Farm in Loughborough Junction, South London.